Today's Cleveland Jewish News reports that Rabbi Richard A. Block of The Temple-Tifereth Israel will become president of the Central Conference of American Rabbis (CCAR), the association of North American Reform rabbis, on Monday, March 4. The story continued "He will begin a two-year term as president after eight years in other CCAR elected offices". 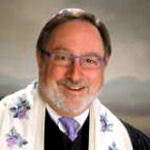 Ordained in 1982, Rabbi Block joined The Temple - Tifereth Israel as senior rabbi in 2001. The story mentioned that he was the third CCAR president from The Temple - Tifereth Israel, the prior one having been Abba Hillel Silver who was elected in 1945. You may have asked some of these questions. Who was the first rabbi from The Temple - Tifereth Israel to have earned this honor? Which Cleveland rabbis have served as CCAR president? Source: the list of past presidents on the CCAR website. Cleveland may have been home to more CCAR presidents than any other city. Rabbi Louis Wolsey, who served Anshe Chesed (then the Euclid Avenue Temple) from 1907 - 1925 and became CCAR president in 1925 almost made our list. With today's practice of taking office in March, he would have become president while at Anshe Chesed. Further searching showed that though he left Cleveland to become rabbi of Rodef Shalom in Philadelphia in June 1925, from a New York Times story (see below) we find that he became CCAR president four months later, on October 22, 1925. Why does the CCAR have a name that suggests it embraces all American Judaism, when it is really for the Reform movement only? Rabbi Isaac M. Wise envisioned creating an American Judaism. He named the rabbinic school Hebrew Union College, the congregational arm The Union of American Hebrew Congregations (changed in 2003 to the Union for Reform Judaism) and in 1889 the rabbinic association the Central Conference of American Rabbis. For more see the History page on the CCAR website. In 1889 the Conservative and Orthodox movements were not organized. In 1913 Dr Solomon Schechter did the same when he named his "all but the Reform" synagogue group United Synagogue. And what about Cleveland rabbis who have led the national bodies of the other streams of American Judaism, notably the Conservative and Orthodox movements? A good project for another day. Your help on this is most welcome.